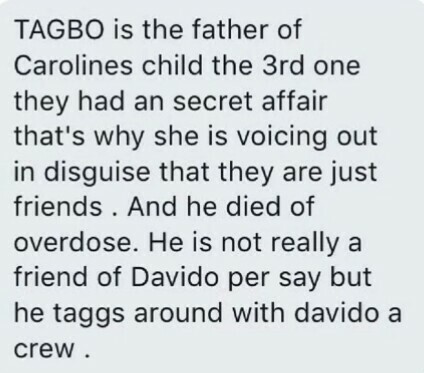 More details have emerged following Tagbo’s death whom Caroline said died in Davido’s car and was abandoned in a general hospital after they all partied together. 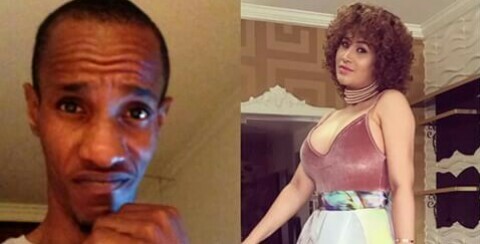 A Twitter user is alleging that the late Tagbo fathered the actress’ last child. He also said he was not going to respond to any more comments on the incident out of respect for the deceased (whom addressed as his dear friend) and his family. 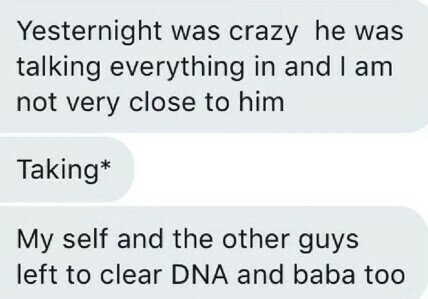 Caroline is yet to respond to the recent claims. 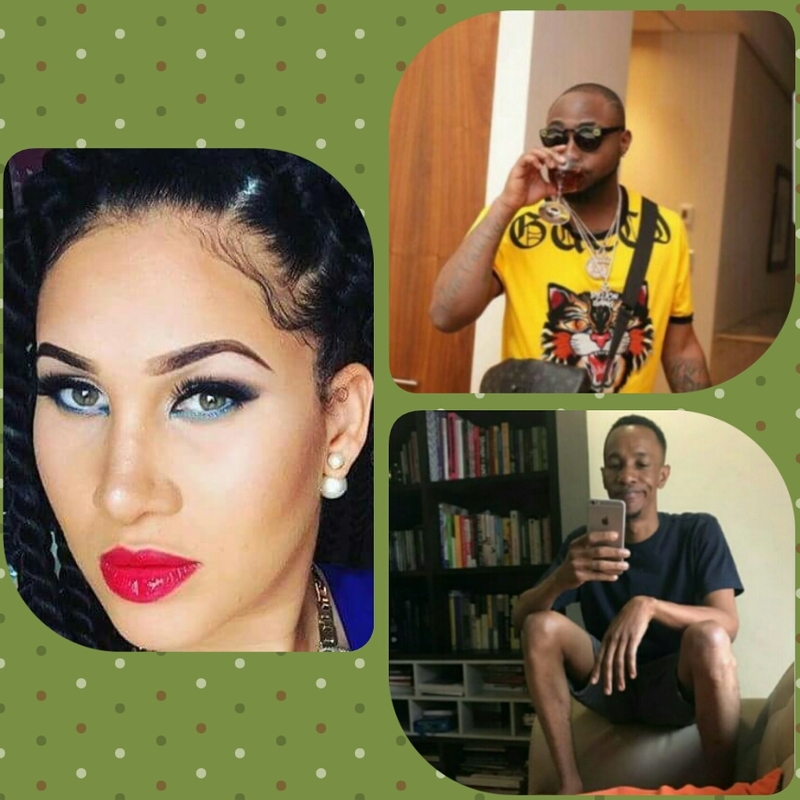 Previous Previous post: ‘This Is What I Get For Treating Everyone Like My Brother’ – Davido finally reacts to Tagbo’s death.